Congratulations to Dr. Allan Oolo , President of the ECDA , on winning first place in the individual category of the World Federation of Chiropractic’s Annual 2014 World Spine Day competition, over 40 countries worldwide belong to WFC. The Estonian Chiropractic Doctors Association’s, Estonian World Spine Day campaign 2014, started on Oct. 13. and finished on Oct. 31. View our partners and sponsors , who helped us throughout the campaign. Click here! 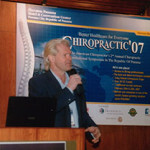 The Estonian Chiropractic Doctors Association is the original and first Estonian chiropractic association in Estonia. As an Estonian chiropractic association that represents the Estonian profession in Estonia, the Estonian Chiropractic Doctors Association has been in talks with high level Estonian government officials since 2004 on bringing regulations to Estonia for the chiropractic profession. 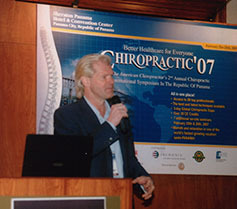 Estonian Chiropractic Doctors Association president, Dr. Allan Gary Austin Oolo, prior to forming this Estonian chiropractic association, personally began talks with the Estonian ministry of health in 1992 which is also when he introduced chiropractic to Estonia. With a long history as the first Estonian chiropractic association, the Estonian Chiropractic Doctors Association is recognized by Estonian law-makers as the active go-to organization to represent chiropractic for legislation in Estonia. Mission: ECDA’s mission is to provide support needed to preserve, protect, improve and promote the Chiropractic profession and the services of the regulated and properly qualified physicians who practice chiropractic medicine in Estonia. Estonian Health and Social Affairs Ministry. The ECDA with partners and sponsors also organize chiropractic educational campaigns for the public and medical profession, as well as domestic and international exhibitions and trade-shows which relate to the chiropractic and complimentary medical healthcare fields.